Hey everyone! This is a special post for UnlockBoot followers. We love our readers and lately, we have provided you with the best and cheapest iPhone unlock solution that’s available on the market. Yes! We are talking about Official Factory iPhone Unlock. This company has made the dreams of many to use their iPhone as a ‘real phone’ and not an iPod Touch come true. How to Buy Reliable and Safe Factory Unlock Solution? They are unlocking iPhones on a number of carriers and people have been happy with their results. We have personally tested their service and are proud to say that their Factory Unlock Service works and the unlock solution is very safe. 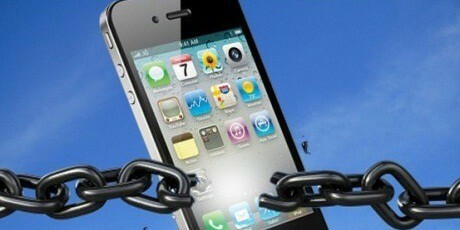 By placing an order, you are likely to get your iPhone Factory Unlocked within 24 hours. This is a full factory unlock and it’s going to work on any carrier in the world. No more frustration! No more waiting for Dev Team to release an ultrasn0w unlock! No more waiting for software and hardware unlock releases! Just place an order through UnlockBoot can factory Unlock iPhone 5, iPhone 4S, iPhone 4 or iPhone 3GS via IMEI code – Get your device Permanently unlocked forever right away! You might have heard about a popular Unlocking service called CutYourSim. It was closed a while ago, but then reopened. However, there’s a catch in their service. We don’t need to say another more. Just make a Google search of UnlockBoot Review, and you’ll know what we are talking about! Warning! Don’t Buy an Unlock Solution from Ebay or Facebook! In the end, we would like to say stay away from scammers. There are lots of people who are trying to sell fake unlock solutions on our Facebook page, and the website itself. Please, stay away from these people. They are likely to take your money, and won’t provide you with a valid solution. Isn’t it better to spend $60-70 once rather than spending $10-19 many times and end up gaining nothing? Store.UnlockBoot.Com is the best unlocking service available at this moment that can unlock iPhone 4, 4S, 5, and we highly recommend that you try it out! Please feel free to share your thoughts below.